iMac "Core 2 Duo" 2.4 24-Inch (Al) completely dead. Help! Is any fuse inside I can replace, or power supply, or how to find a wrong unit??? (it's not a cable issue - 100%). Sorry, I'm just beginner. Will appreciate any advice. Hi Vitali, I have had luck with previous generation iMacs G5, but no luck with my 24' and 20' intel based iMacs. Did you fix your iMac? I'd like to know if it was the power supply or the logic board . . . . Yes, I did. Power supply was defective in my case. These machines have diagnostic LEDs on the logic board. You'll have to take off the front glass (suction cups required) and front bezel. They are located on the right hand side underneath the screen, you may have to move some cables aside to spot them. The first one should light up when the computer is connected to a power source. the second one should light up when you press the power button Number three and four are video related and show you if the graphic chip is initialized and wether there is connection to the display. Maybe this Mac has no LEDs? Please tell ms the serial number for the thing. I can't work out that %&$§" model numbers. + Get yourself a multimeter and start testing. OK. My multimeter is ready. 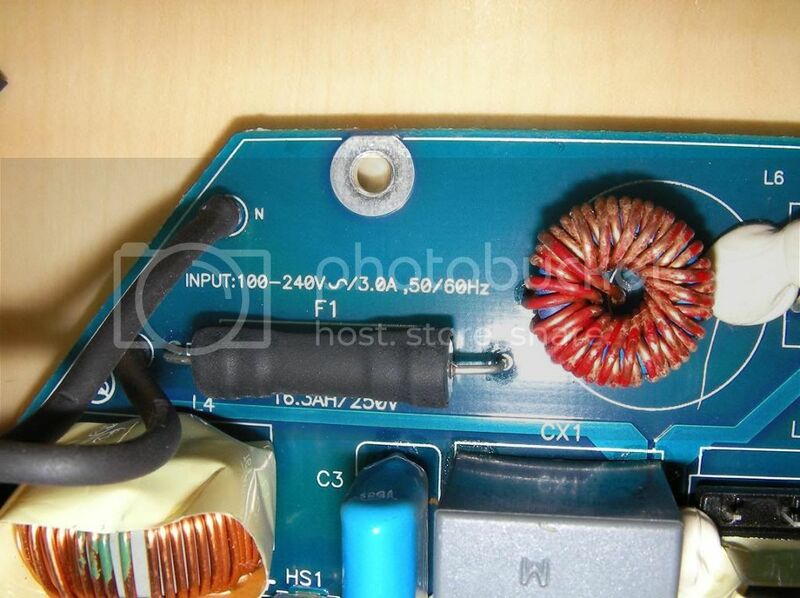 Is any good link about measurement of Power Supply. I didn't see any burning on Logic Board, but that was only first look. 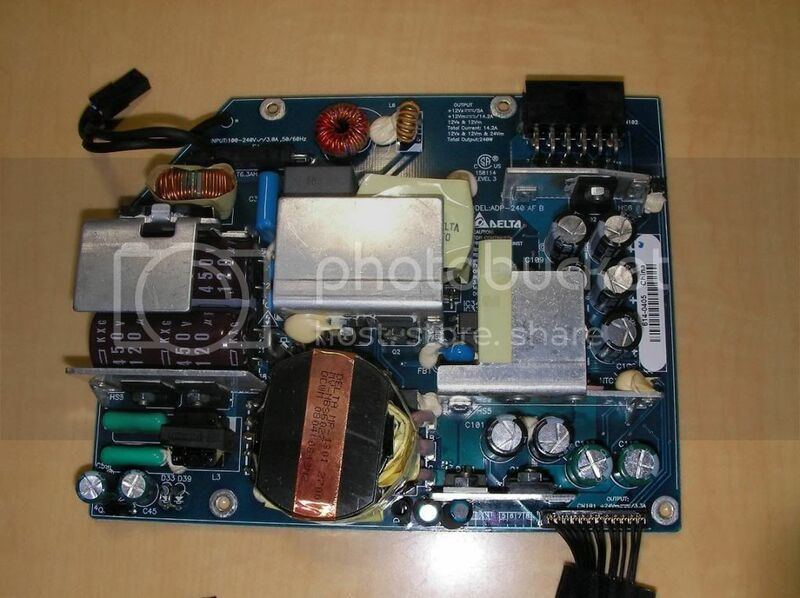 The 24" white plastic iMac A1200 (EMC2111) has a fuse soldered on the power supply. 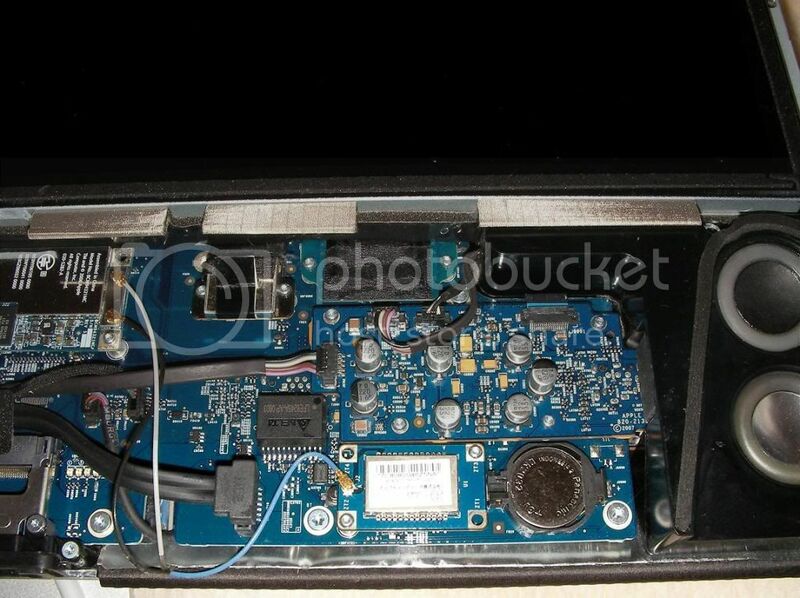 The fuse is covered in black shrink tubing, and it is located close to the power input (2 wire cable). 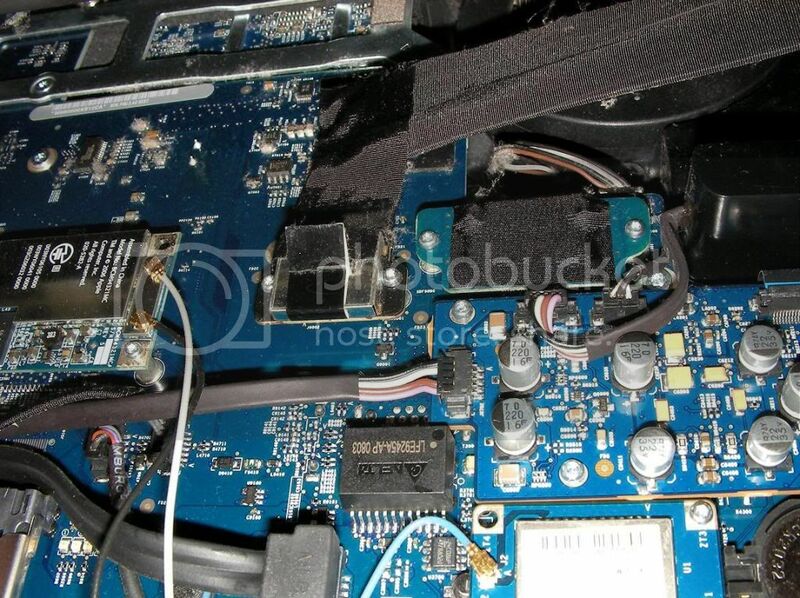 That fuse blew on my iMAC when the 420V, 250 uF capacitor in the power supply ruptured open. Both capacitors are in parallel. I removed both and replaced them with a single 250uF 400V, from an IBM power supply. The actual voltage measured 400V, so I think the voltage rating is sufficient. The new capacitor is physically too large to fit the apple power supply, so I connected it with long wires and taped it inside the housing, beside the power supply. Booting in Target mode with a firewire cable will only work if the computer will boot. Thanks! Sounds like science fiction for me. :) One robot cures dead partner. Is Power Book G4 good for this? Any link if you have, please? Just back from Apple shop. 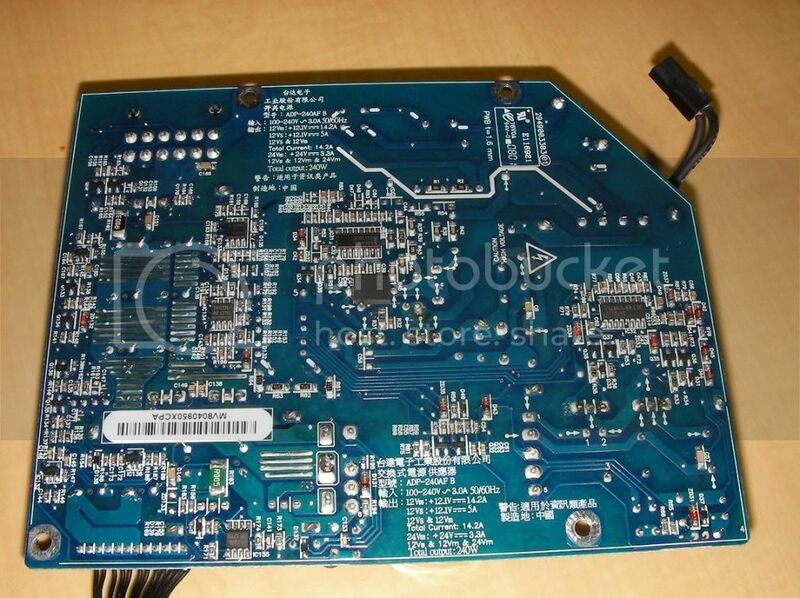 To check iMac will cost 50$ (in equivalent from yen), to replace of Power Supply - 300$, Logic Board - 750$. Too much for me. :( I better try by myself as much as possible. I had same dead mac issue. I replaced the power supply with a new one and it all worked fine... for about 3 hours at which point the imac just turned off again and would not boot. This time however the diagnostic LEDS were active and I had power, logic and video power. The machine then suddenly started after about 30 mins of staring at the diagnostic LEDS but I got the folder with ? mark in it and it would not boot. Very strange indeed. All LEDS are lit up but it just hangs now on the folder with ? in it. 2008, iMac, 24inch, Core Due 3.02GHZ, 500GB HDD, 2 X 1 GIG RAM. As an update. After leaving it unplugged for 30 mins I tried booting again. It gets about halfway through the apple start-up chime and then reboots only again to get halfway through the start-up chime and then reboot again. IT is stuck in this loop. 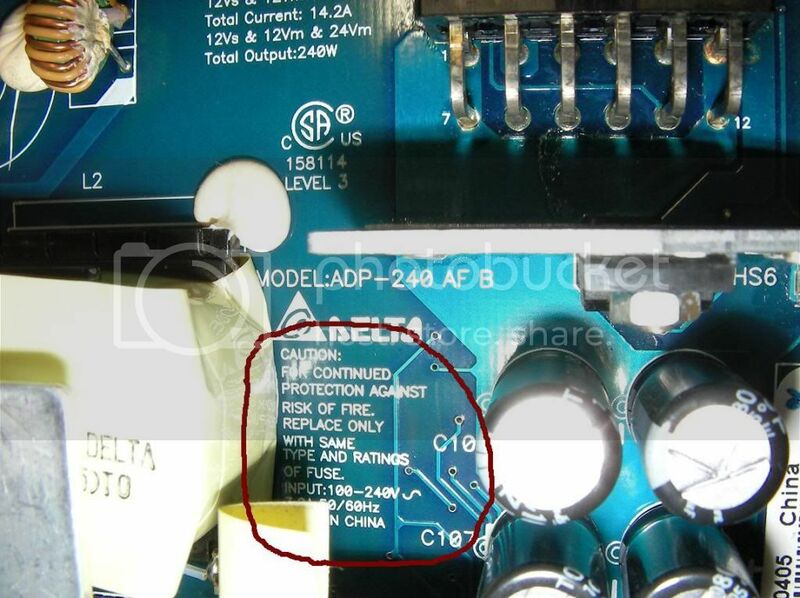 Did you check into the Logic board if you had some Capacitors that are bursted? "Top Bombed" normally is flat. 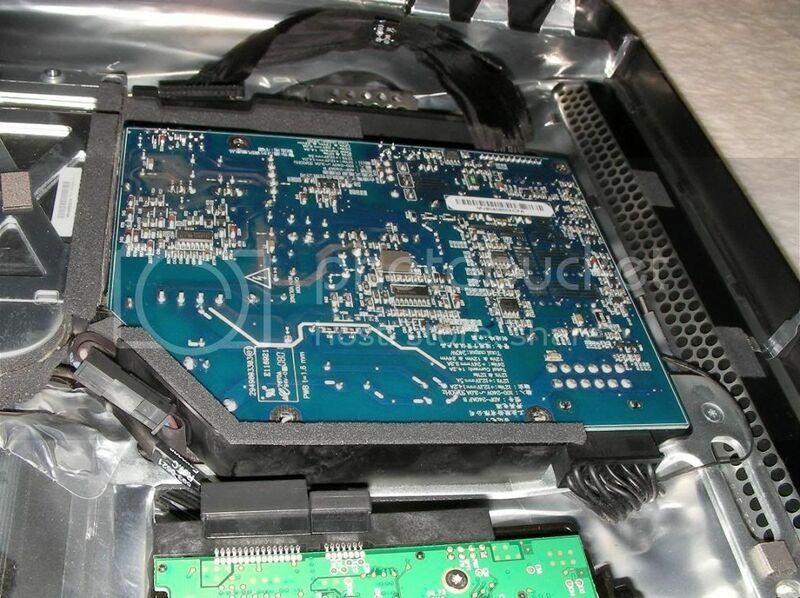 Inspect for all capacitors on the logic board (both sides of the logic board). Sometimes, it's not the power supply the issue. When some capacitors in the logic board is broken it gives that king of symptômes. Igor zal eeuwig dankbaar zijn.